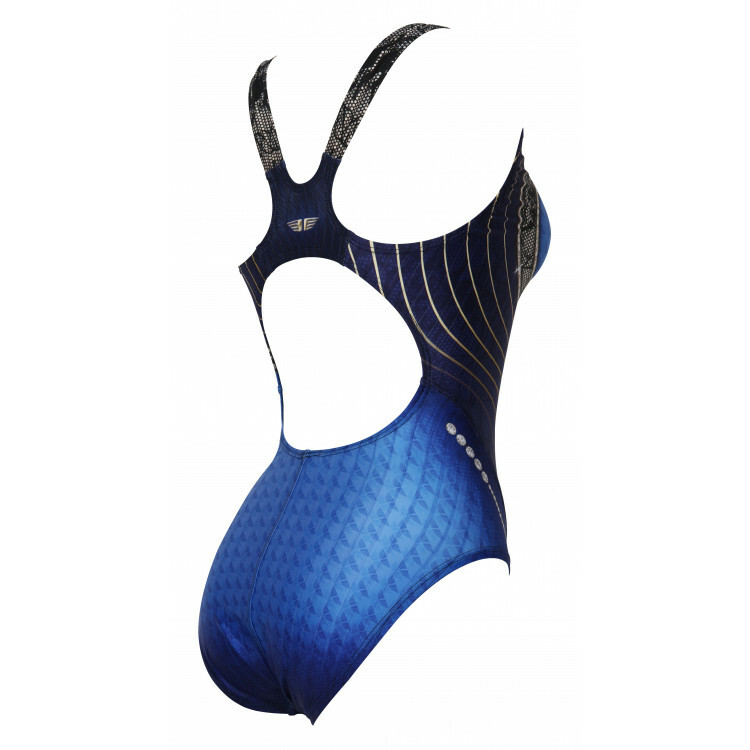 JKUSS Progressive PRO-05W swimsuit in blue. 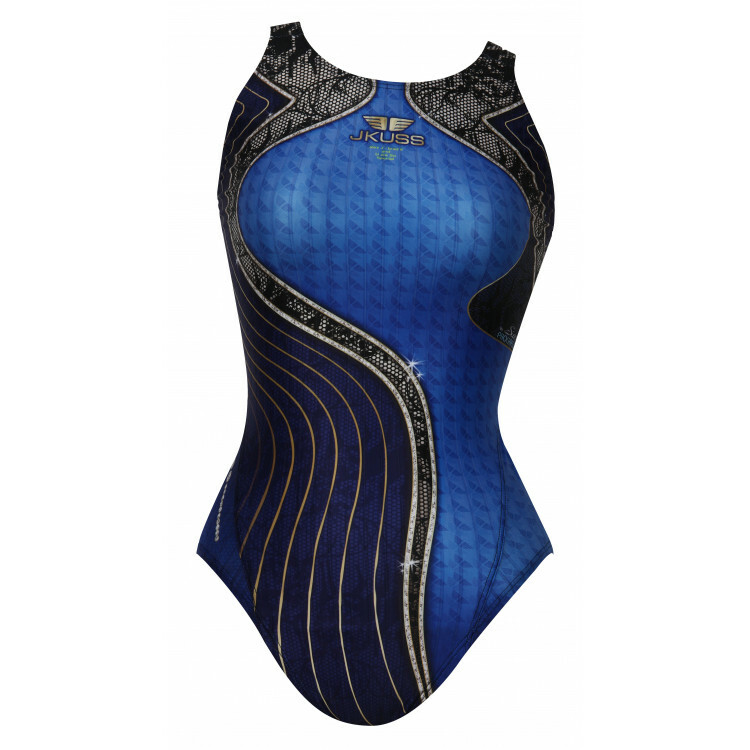 It has a midleg and a comfortable cross back that will stay put whether you are training in the pool, or relaxing in the hot tub. 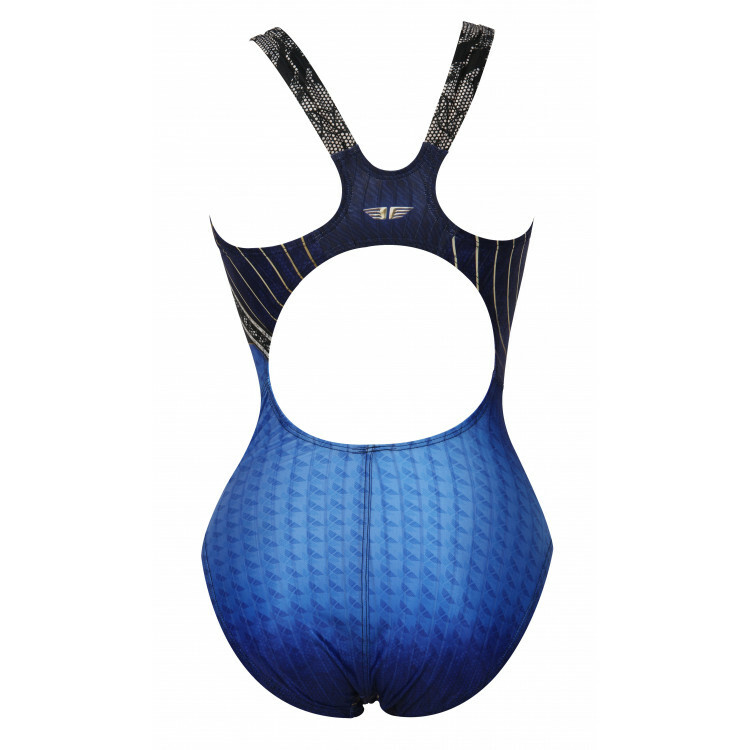 JKUSS Progressive PRO-05M Jammer swimming trunks in blue and blac..